If you can find a decent quality bicycle there are some great rides to be taken in the local area. Rental costs are low, about 500LKR per day, even less for long term hire. For motorbikes, scooters or tuk tuk hire see this page. 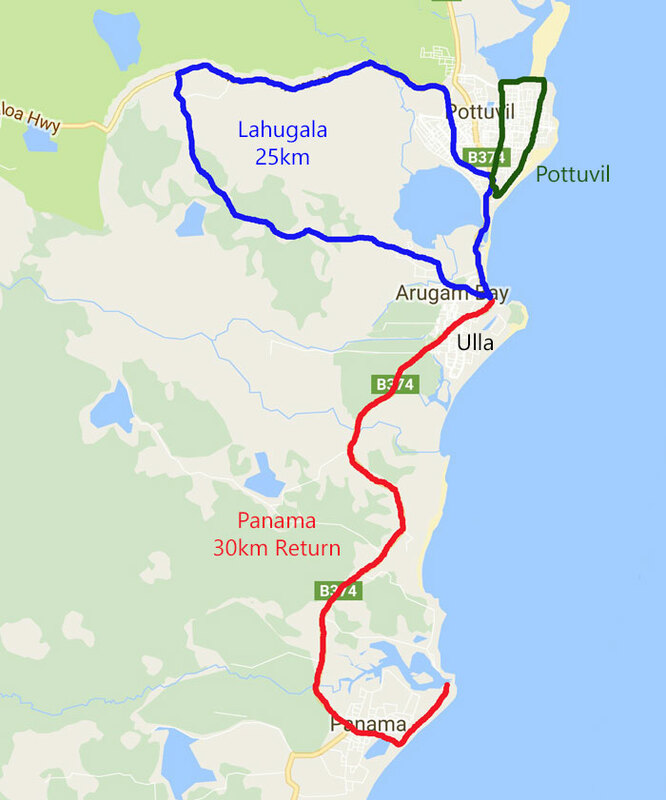 The route to Panama, a 30km return trip (red line on the map below), is great for spotting wildlife and the beach road will take you to some of the most pristine East Coast sand you can find. The back streets of Ulla to the west of the main street and south towards Crocodile Rock and Elephant Rock are also very different to the tourist strip of Arugam Bay. Here you will find only smiling locals who will most likely invite you in to their house for tea or lunch! From Arugam Bay you can also follow a back road to Lahugala and return through Pottuvil on the other side of the lagoon, a 25km round trip (blue line on the map). Be a little careful late afternoon though as elephants are often seen in this area. Pottuvil itself is a very charming and interesting town, despite the busy and noisy main street. Go and get lost in the back streets towards the coast and make your way to the lagoon where the track leads out towards Pottuvil Point (green line on the map). This is where the Kottukal Lagoon Safari starts. If you do decide to head into residential areas understand that they are much more conservative than Arugam Bay beach and that women should remain covered as much as possible as a sign of respect to the locals. 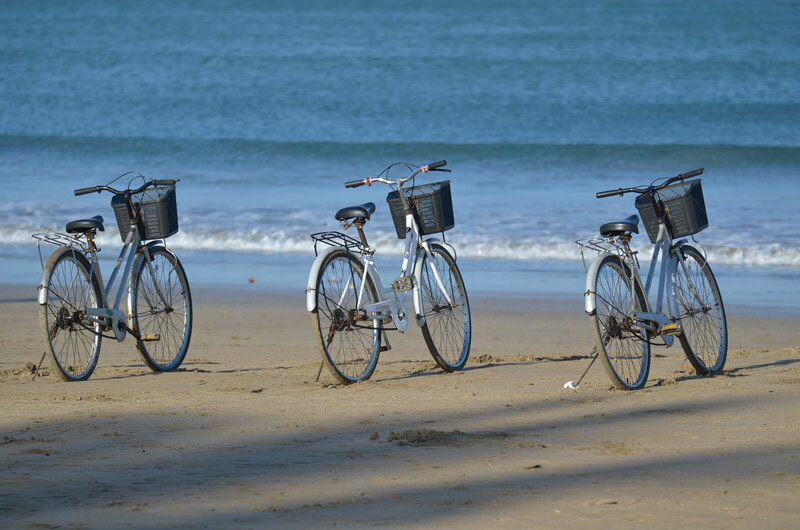 Search the business listings for a bike rental provider.